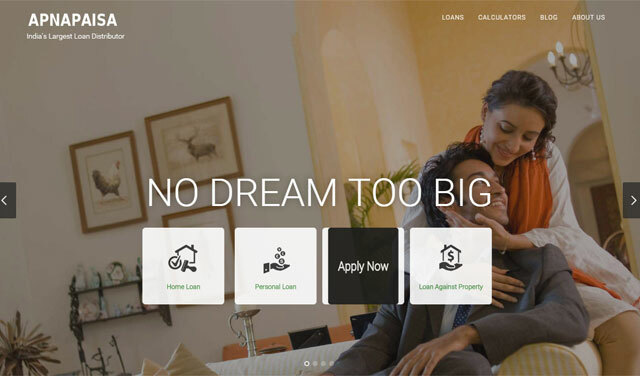 Mumbai-based Andromeda Sales & Distribution Pvt Ltd, said to be one of the country's largest loan distributors, has acquired financial products comparison website apnapaisa.com in a stock and cash deal. Andromeda will use Apnapaisa's technology to fasten its growth and use the acquired company's management bandwidth to digitise its business, as per a press statement. Apnapaisa, which is owned and operated by Mumbai-based Apna Paisa Marketing and Services Pvt Ltd, was started in 2007 by Harsh Roongta who has worked with several financial lending institutions. It is one of the country's oldest loan origination portals. The company claims to have helped over two million customers in choosing loan products across categories such as home loan, personal loan, business loan and loan against property. "The acquisition is not just for generating additional business, it is also aimed to benefit from the management strength of Apnapaisa to digitise the existing business and also to increase our portfolio in products like credit cards and personal loans which are fast going digital," said Naresh Daga, co-founder and chief executive at Apnapaisa. Andromeda, which has presence in more than 30 cities across the country, helps in facilitating the distribution of loans worth Rs 8,000 crore every year, the statement said. "With impeccable track record in the loan distribution business over the last 15 years, it is natural for the company to accelerate its process of growth by leveraging Apnapaisa's digital strength," said V Swaminathan, chief executive at Andromeda. Apnapaisa competes with the likes of BankBazaar.com, PolicyBazaar.com, MyInsuranceClub.com, InsuranceMall.in, ApnaInsurance.com and Getmeinsure.com. The company had raised an undisclosed investment in its second round of funding from JAFCO Asia and existing investor Sequoia Capital in 2009. Apnapaisa initially had backers such as Rediff.com, ING Vysya Bank, SIDBI Venture, Jumpstartup Venture Fund, FMO and Edelweiss Capital, many of whom had exited before. Andromeda as a group, which was involved in BPO service and loan distribution, was acquired by Navis Capital back in 2007 for Rs 180 crore. It was eventually spliced up with Andromeda Sales before being spun out as a separate firm that was sold to Casa Capital. The private sector loan distribution, syndication and consultancy space has of late witnessed strong investor interest. Early this month, Chennai-based A & A Dukaan Financial Services Pvt Ltd, which sells third-party financial services products through the online platform BankBazaar.com, raised Rs 375 crore ($59.1 million) in Series C funding from e-commerce giant Amazon and other investors.